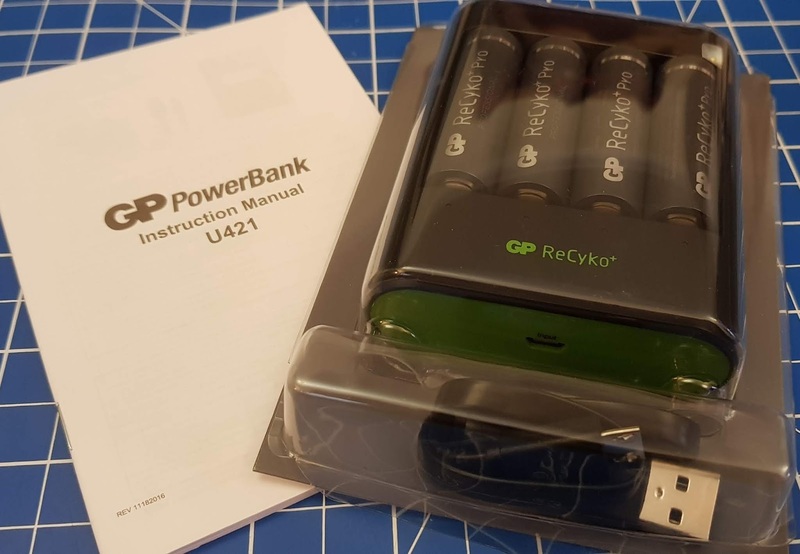 We were sent the 2 of the 4 x AA Batteries, 4 x AAA Batteries and the ReCyko+ Pro USB Rapid Charger with 4 x AA Batteries. Although they are meant to arrive pre-charged, we did find a few of the batteries were a bit lower on power than anticipated at the start. The Rapid Charger is really special. 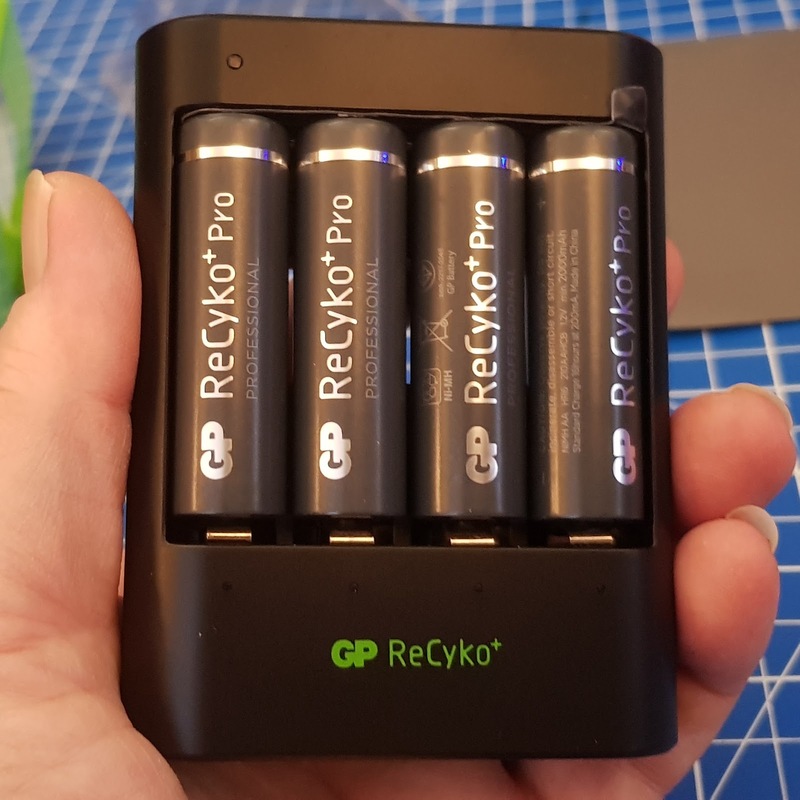 It can charge the AA or AAA or a mix of both at the same time, and you can charge any number of batteries from 1 to 4 at once. 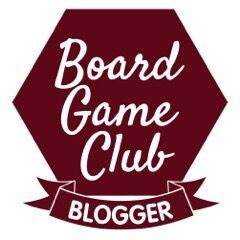 It is powered by USB, tiny and light and perfect for a pocket, camera case or handbag. It also looks really good and recharging is as quick as it suggests, even though the cable is micro USB rather than the new standard USB3. A full charge in well under an hour. 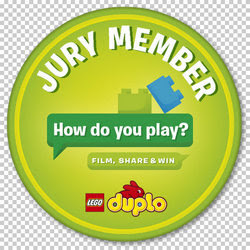 Super handy and fantastic for taking away with you. 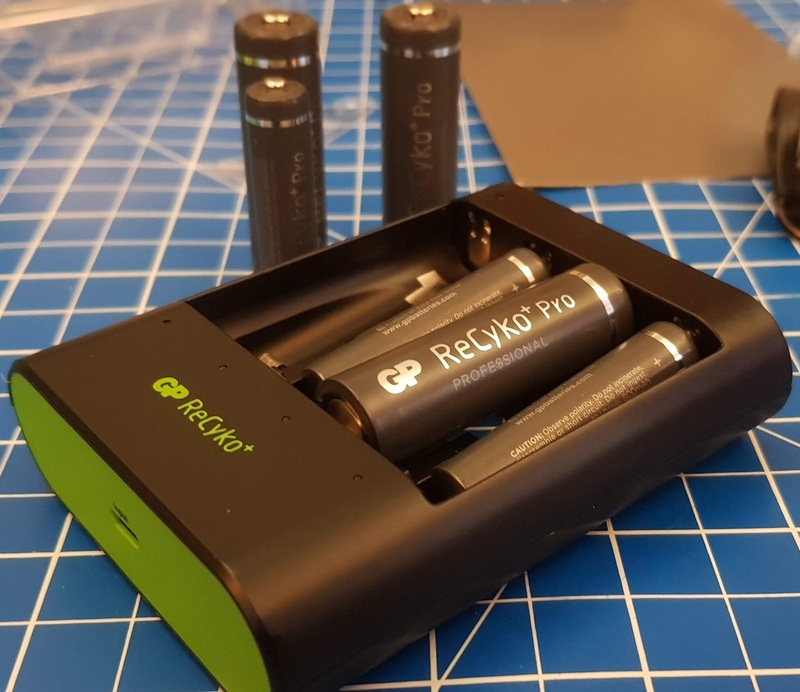 We've been using the batteries in several items now for around 6 weeks because we wanted to give ReCyko a proper test, and genuinely we don't feel a charge lasts any less time than with our other batteries. I've never had such a handy battery charger and the batteries haven't disappointed. It's brilliant that my kids can spot the recyclable batteries instantly and the fast charging time is amazing. Taking the charger out with you is as easy as popping it in your pocket or bag, and because it's USB, you can always get a recharge. 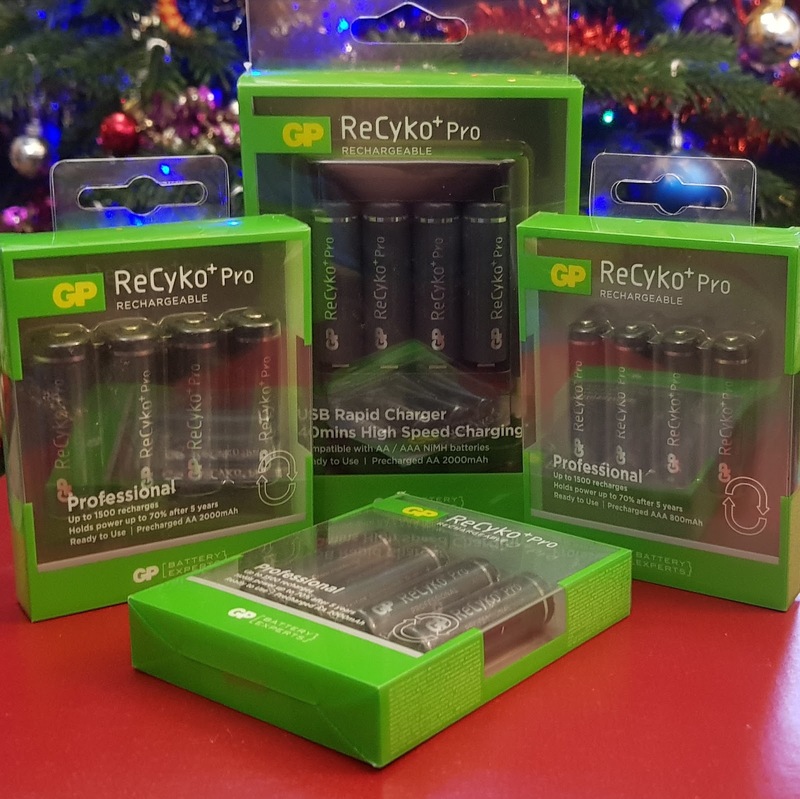 GP Batteries have a big range of ReCyko products available to buy and you can find out more about the whole range on the GP Batteries website. 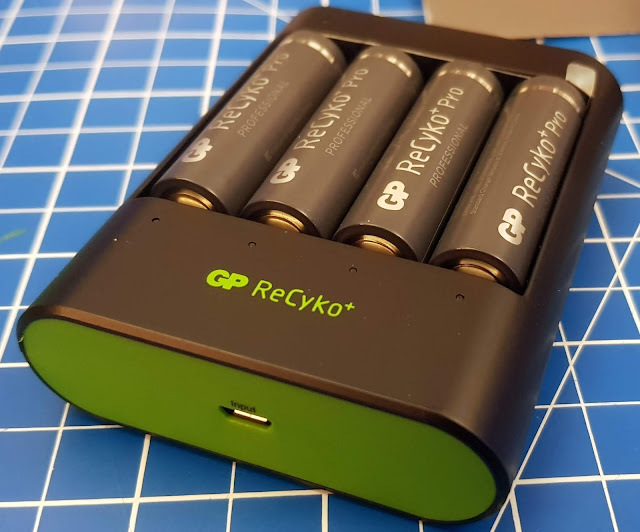 We were reviewing the ReCyko+ Pro Rapid Charger with AAA and AA batteries. Prices are very reasonable and after 6 weeks use I am not in any way disappointed with performance. Amazon links are affiliate to try and keep Gary in cat food. 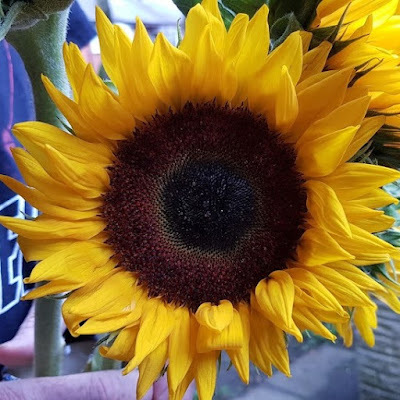 I earn a few pence each time you order through my link, but you don't pay any more. We were sent the batteries and charger for review.